For customers who can’t seem to find the perfect option among our used lockers, we also offer brand-new, inexpensive lockers that are available in limitless colors, styles and sizes. Whether you’re on the hunt for a large quantity of new school lockers or simply need a few staff lockers for a breakroom, we can fill all types of specific storage needs. The single tier locker is commonly used in schools, businesses, gyms and homes and provides the largest compartment space among all the lockers styles we sell. 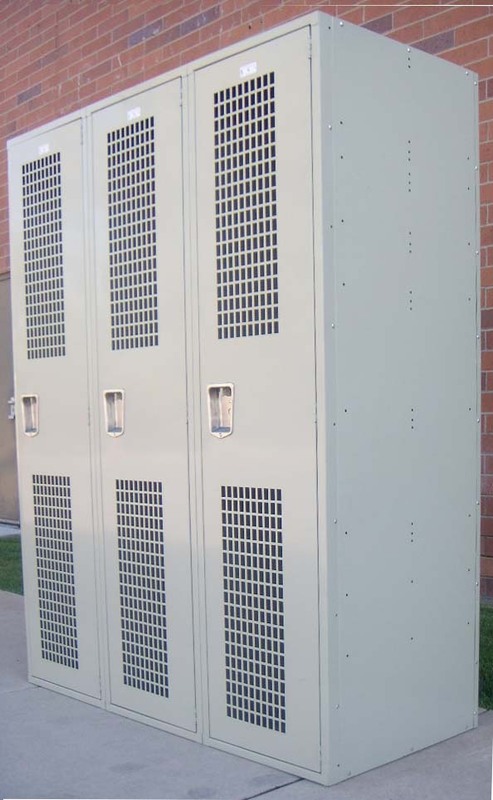 Single tier lockers can be ordered in a variety of styles including metal, wood or plastic, these lockers are ideal for any user including students, athletes, law enforcement, health care workers and more. Single tier provides the most valuable utility for uniforms or clothing storage. The full length compartment allows damp items to air dry and prevents wrinkling, with the added convenience of an upper shelf and multiple wall hooks. 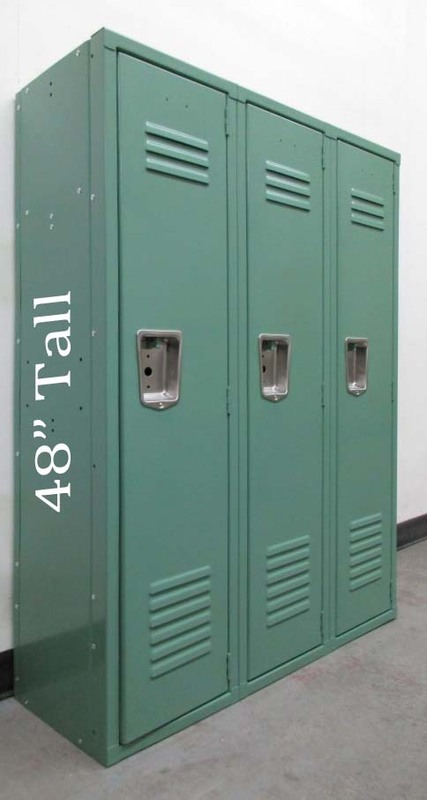 School lockers (for locker rooms and halls) Available in stock in several popular colors and sizes and in up to 30 color choices and unlimited size and style options on our production schedule. 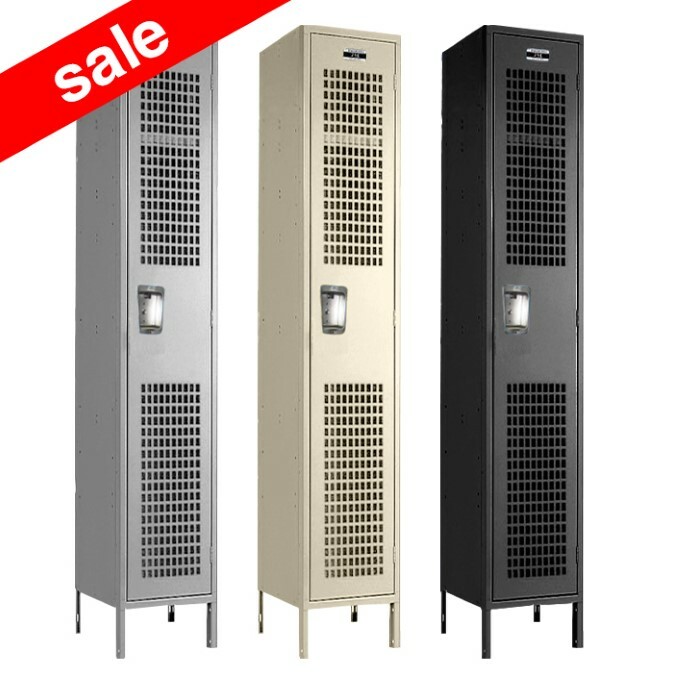 Gym Lockers are Heavier Duty and Ventilated and available as quick ship in two popular colors & 8 common sizes. Can also be ordered in up to 30 popular colors & unlimited sizes. Storage Lockers typically larger in size! 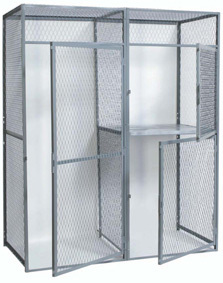 All types available in wire mesh tenant storage lockers, steel, industrial, or heavy duty. 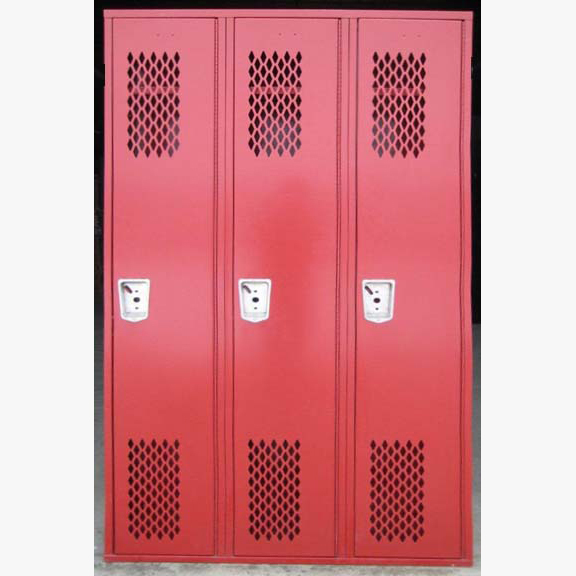 Sports Lockers also called equipment or stadium lockers, for all your sports equipment and sporting gear storage needs. Our open access lockers are popular as football lockers and with police and military personnel. Size: 15" x 15" x 48"
Size: 36-48" x 36-60" x 90"
Greater Space & Organization Single tier is the most personal locker option and provides users with the freedom to store a surplus of items without the interference of a bottom compartment user. These options range from our classic, freestanding lockers to the more space-efficient wall locker for sale, which is great for conserving floor area. We have two types of wall lockers; both styles are compact, horizontal units with four locker compartments each. 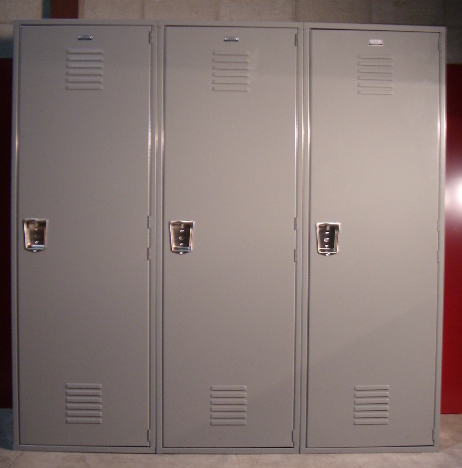 These lockers have either solid metal doors with louvers or strong, polycarbonate doors for providing added visibility. Another benefit of a wall locker is the ability to mount to the floor or desk when needed. Check out our wall lockers for sale if you require the convenience of single user storage but have little floor space to work with. 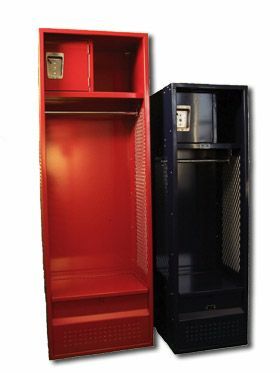 Greater Inventory Unlike our used lockers, we do not have a limited quantity of lockers available. 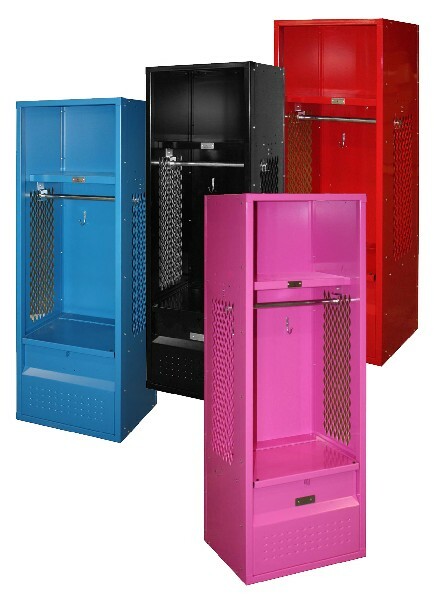 When you buy new lockers, you can order as many as you want in whatever color, style, and size that you need. 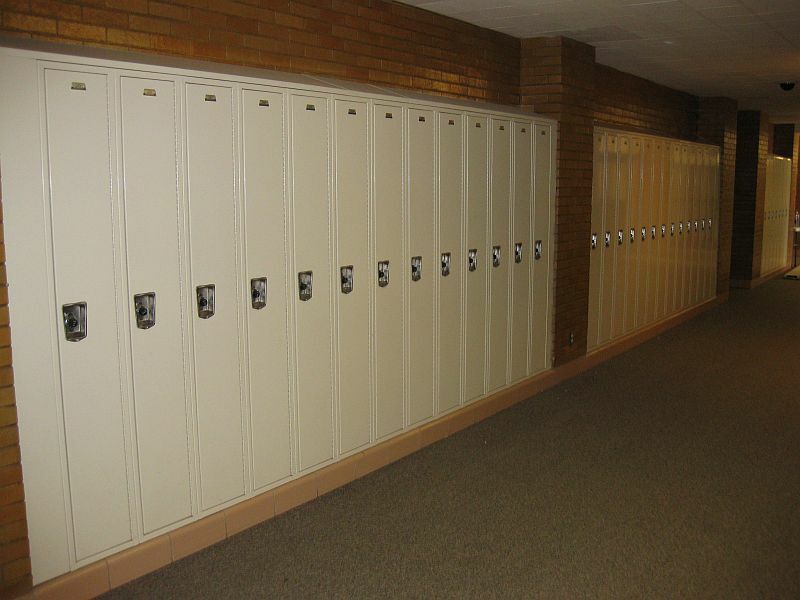 Whether you are looking for heavy duty lockers, school lockers, or storage lockers, we have an option to satisfy your storage needs. Find out why our spacious single tier and wall lockers are so popular among countless industries and applications, shop our selection or call now for a free locker quote!